These guys are amazing. So great to work with. By the time you’re finished, you feel like family. I HIGHLY recommend talking with these folks when you choose to build!!! Two years later and we still love our Copper Creek Home! We have had no regrets! Love the style of their homes, their services, and most of all, their affordability! Copper Creek has been great company to work with, especially as first home buyers. Thank you! Ready to begin building your dream home in Idaho? With Copper Creek Homes, it’s easy! 1) Even though they build a lot of homes, we didn’t feel like a number to them. I felt they treated us with personal attention. We still feel that way. 2) It’s impossible to build a perfect home that never has problems. However, it’s important to choose a builder who takes responsibility when mistakes happen or problems arise. During the building process we experienced some issues, and Copper Creek resolved them adequately. During the first year we owned the home, we had a number of punch-list items that needed attention, and Copper Creek sent someone out immediately to resolve them each time. And now, three years after we moved in, we had an issue arise, and Copper Creek is taking care of it for us. This is the kind of company I like to do business with, and I’m writing this review to let anyone who may be considering using Copper Creek to do it. Shay (the owner) goes above and beyond to ensure quality in the homes he builds, both during construction and after. He is improving his company’s processes and procedures year after year. 3) Most everything you see in their model homes is a standard feature. That was a huge selling point for us. We hate going into model homes, falling in love with everything, only to find out that 50% of what you see is an upgrade. Most of what you see in a Copper Creek model is standard, such as granite counters, wood accents, mudroom bench, energy-efficient windows and insulation, travertine kitchen backsplash, and tons more. I’ve done a ton of research on home builders, and you definitely get the most for your money with Copper Creek. And it’s quality. 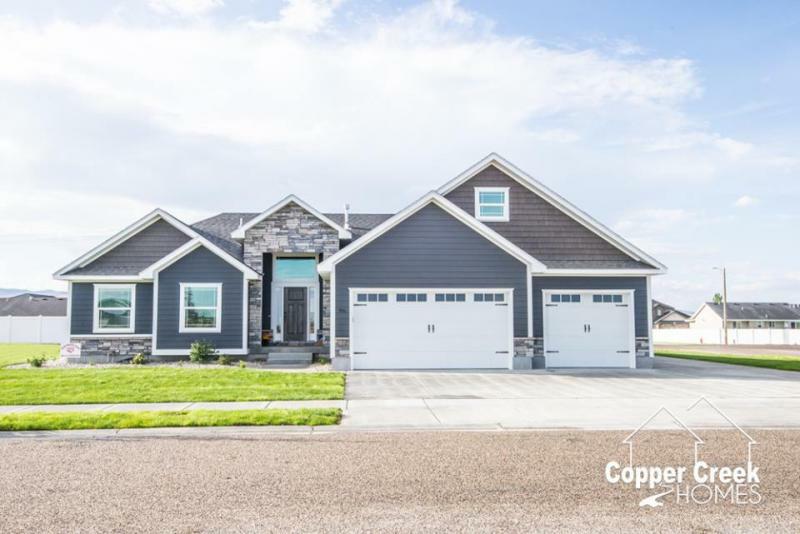 We highly recommend Copper Creek Homes. We purchased a Rushmore, Copper Creek Home. We could not be more pleased with the beauty and quality of our home. Everything in the home was done with a strict attention to detail. The tile and wood are well layed. The cabinets are beautiful with soft close hinges. The finish work and paint are incredible. The layout is exactly what we were looking for. The best part is we got a home that we are proud of, and it has everything we thought we couldn’t afford. We feel as though Shay Higley, and the office manager Nadene Michaelson, did everything in their power to please and go beyond our expectations. A big THANK YOU Copper Creek!!! We interviewed several builders before selecting Copper Creek Homes to build our home in Idaho. We couldn’t be more happy with our decision. The professionals at Copper Creek, from sales, to interior design support, to the project foreman are exceptional people, very good at their craft, and absolutely committed to making sure we were happy with our new home. Building a home is probably the biggest financial investment we’ll ever make. And we are sooooo glad we invested that with Copper Creek. We love Love LOVE our Copper Creek Home! Our standard features are upgrades for other home builders. Schedule an appointment to see our quality first-hand. You’ll immediately recognize why our customers are so happy with their custom-built Idaho homes.